Within a roughly 90-minute span Monday night, BART police responded to an assault and then a robbery at different locations within the transit system, renewing concerns for rider safety. 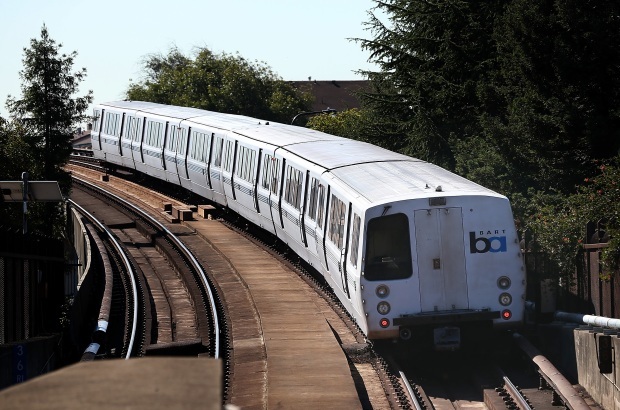 The two Monday incidents came on the heels of a Friday stabbing on a BART train in Oakland. The assault happened around 9:35 p.m. when a man reportedly hit a woman in the head with an object while the two were riding on a train, according to BART. The suspect eventually hopped off the train at the Colma Station where he was arrested, a BART spokesperson said. A busy night for BART police. Within a 90-minute span, two women on board separate trains in different parts of the Bay Area were attacked. Melissa Colorado reports. The woman, who suffered non-life-threatening injuries, was treated at the scene, BART reported. Less than two hours later, a robbery occurred at the Orinda Station, according to BART. The male suspect fled the scene and hopped on a train headed for San Francisco, BART reported. Authorities were able to take him into custody at the MacArthur Station in Oakland. The latest incidents once again have raised concerns over BART safety. The president of the transit agency's board of directors says they are taking action to make riders safer. “When I joined the BART board, we had over 40 (police officer) vacancies," BART board President Bevan Dufty said. "That’s over 20 percent of our force. It was very difficult to get officer presence seen at the trains and stations." Vacancies are down to 24, BART said, but passengers aren’t feeling that. They want to see more officers on the trains. BART police are investigating an assault and a robbery that happened within two hours of each other Monday night. Pete Suratos reports.